Small and Mid Cap Value is starting to close the underperformance gap between it and Growth. Large Cap Growth's premium to Value has widened out substantially again in the last 6 weeks. Value hasn't had a substantial performance premium to Growth since 2016. 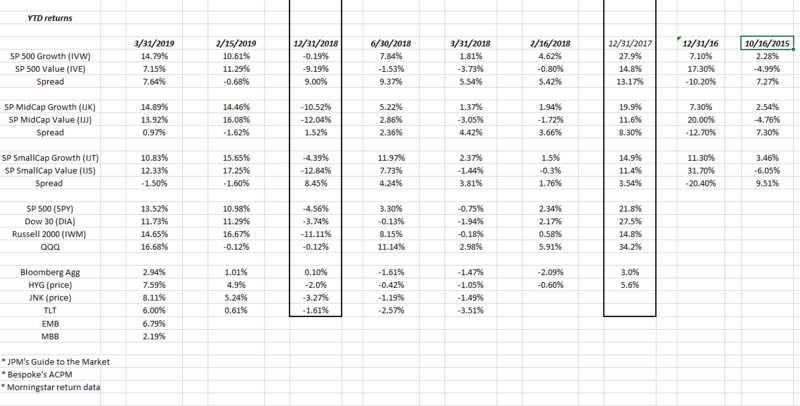 What's interesting about the Style Box update the last 6 weeks is that Small and Mid Cap Value is starting to close the underperformance gap between it and Growth. 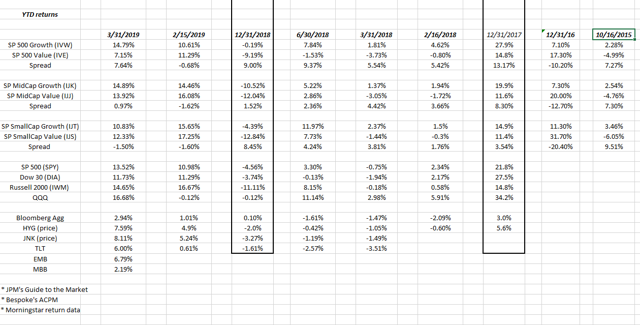 That Growth premium might have something to do with this, i.e., yesterday's post on expected 2019 EPS growth for the top 10 S&P 500 stocks.